Today is October 28th, which means that it’s National Chocolate Day! Though there are many different days throughout the year dedicated to chocolate, National Chocolate Day is one of the big ones recognized by the National Confectioners Association. It’s safe to assume that if you’re reading this, you love chocolate. I’ve only ever met one person in my entire life that doesn’t like chocolate. Crazy, huh? To me, that must mean that most of the world likes chocolate, and is hopefully as enthusiastic about it as I am. While we all love to eat chocolate, I couldn’t help but be curious about how the chocolate that we all love to eat (dark, milk, white…) is made. Did you know that the cacao seed is native to South America? That’s right, the chocolate bar that you could be eating right now once was a small seed growing on a cocoa tree very far away. So at this point you might be asking yourself, what’s the difference between cacao and cocoa? How do I pronounce “cacao”? To put it simply, cacao (pronounced, “kuh-cow”) is the purest and rawest form of chocolate. 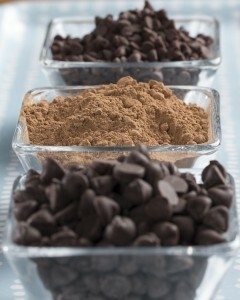 Cocoa is processed at a high heat to make the powdered version that you probably have sitting in your pantry. If you’re looking for a cheap way to get a minimally processed cocoa powder, aim for a dark chocolate cocoa powder variety, because they usually don’t have added sugar. But enough with the history already, let’s talk about the different ways to eat chocolate! 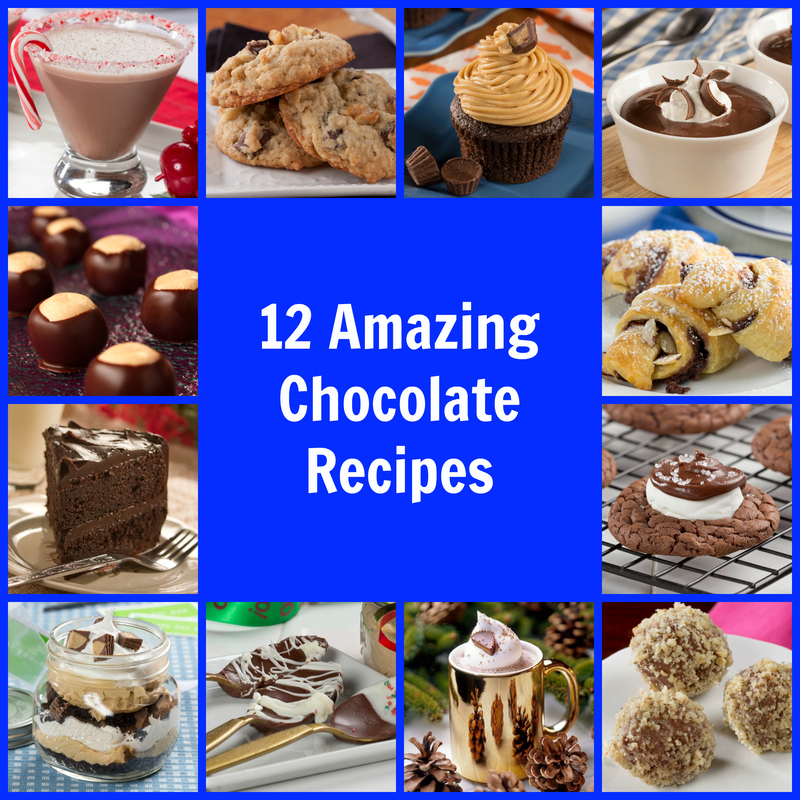 I gathered 12 very different and very delicious ways that you can incorporate chocolate into your “diet”. And boy, chocolate sure never looked so good! Cocoa Peppermint Frosty–Perfectly timed for the upcoming winter holidays. Peppermint is such a versatile flavor! Incredible Chocolate Chunks– These have to be these best looking chocolate chip cookies that I have ever seen! Peanut Butter Cup “Cupcakes”– What’s better than chocolate? Peanut butter and chocolate! One of my favorite flavor combinations. Galley Chocolate Pudding– This creamy chocolate pudding looks so good that you might have to hide it! Chocolate Rollups– Quick and easy chocolate rollups can be served warm and with a glass of milk. Yum, I can almost taste them now! Hot Cocoa Cookies– If these don’t look like the most delicious way to eat hot cocoa ever, then I don’t know what does! 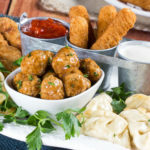 Fudge Balls– These fudge balls are an ideal go-to dessert when you want to make lots in little to no time. Peanut Butter Cup Cocoa– A classic flavor combination served warm in a big ‘ol mug sounds like the perfect cold weather treat. Chocolate-Covered Spoons– Chocolate-Covered Spoons are so easy to make and even more fun to decorate! Chocolate Peanut Butter Jars– Chocolate and peanut butter unite in the cutest way possible here, this is the perfect gift to give anytime of the year. Old Fashioned Southern Chocolate Cake– Old Fashioned and Southern? Count me in! What’s even better? It’s a chocolate cake! Buckeyes– No holiday cookie party is complete without this delicious dessert. Make sure to make them by the dozen because we guarantee everyone will come back for seconds. Tex-Mex Chicken Enchiladas– A yummy way to make an authentic Mexican dinner! 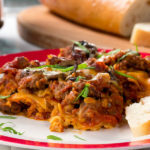 Cincinnati Chili– There’s something about adding a little bit of cocoa powder that makes Cincinnati Chili stand out from the rest. Chocolate Zucchini Bread– Chocolate and zucchini in one delicious bread? Sign me up! Chili Con Cocoa– Not only cocoa powder, but also chocolate chips make this chili rich and delightful. Chocolate Cheese Ball– Bring an appetizer and dessert to your neighbor’s next party! Quick Chili Mole– It doesn’t get any easier than this–a quick and easy chili mole! 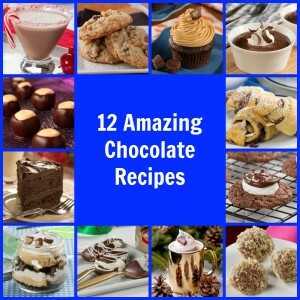 And if you’re looking for even more ways to enjoy chocolate on National Chocolate Day, be sure to check out our To-Die-For Chocolate Fudge Recipes: 10 Homemade Fudge Recipes collection and our Homemade Candy Recipes: 20 Old-Fashioned Recipes for Chocolate Candy, Fudge, & More eCookbook!